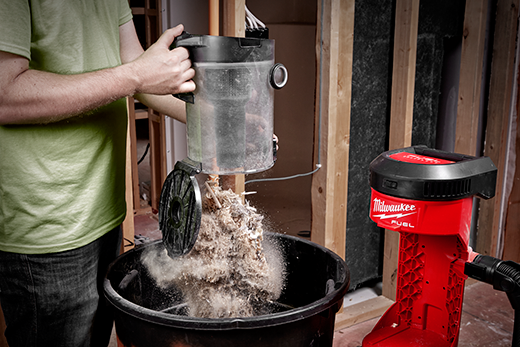 Job-site dust can be a big deal. Dust can affect your personal health or your companies professional image. As a remodeling contractor we work hard at keeping dust out of occupied homes we work on. As a result, we use our vacuums for spot, and area cleanups, as well as use them to collect dust at its source. Is the cordless vacuum as good as a corded one? 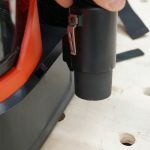 The vacuum is a DRY vacuum, and is set up to be worn like a backpack, an easily transforms, with a click of a button, to a hand carry handle. 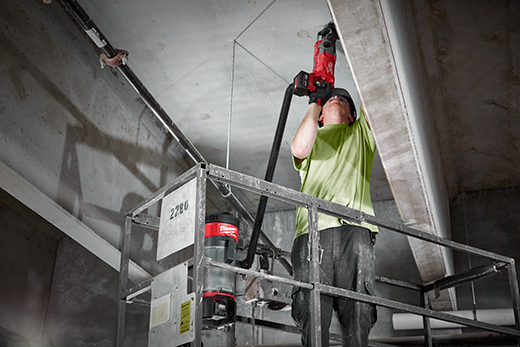 Finally, the hook can be used to hang the vacuum on ladders, scaffolding, or any 2x lumber. 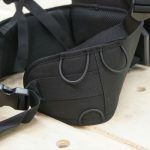 The crevice tool and the dust extraction adapter have spaces on the lower backpack harness. 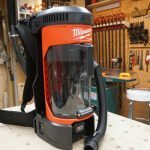 When the backpack harness is removed the Milwaukee 0885-20 M18 FUEL 3-in-1 Backpack Vacuum can be carried vertically with a top handle. The hook, is located at the top portion of the vacuum, and retracts into the vacuum when it’s not needed. There’s also a strap connected to it, presumably to prevent the vacuum from accidentally being knocked off a ladder or lift. 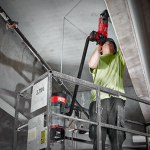 It hangs easily with an extendable hook on lifts and scaffolding for common tasks like overhead concrete drilling. “During our job-site research, we found that users are still relying on bulky, cumbersome, and corded vacuums to complete almost every clean-up task, regardless of the environment. 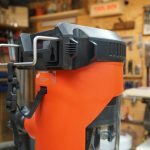 In many situations, they are limited by the cord and sheer size of the vacuums, highlighting the need for a vacuum that has the versatility to go anywhere on the job-site to clean up a wide range of materials quickly and efficiently,” said David Mobarak, Product Manager for Milwaukee Tool. 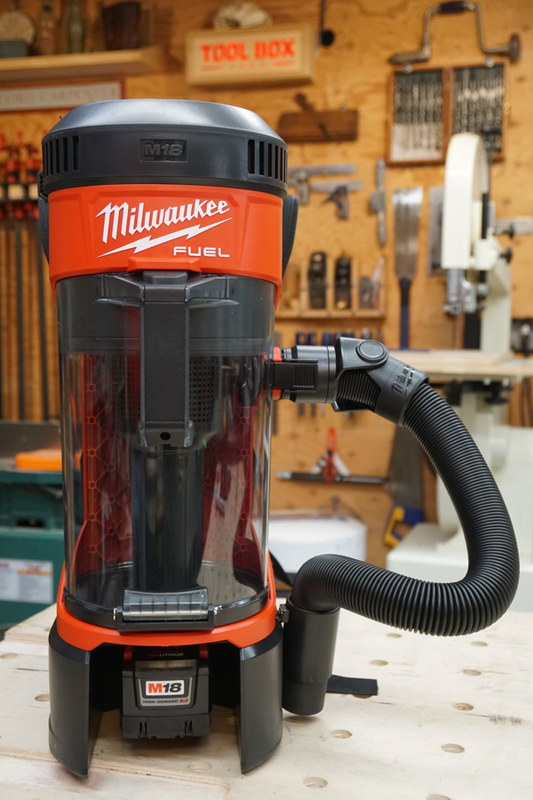 The Milwaukee 0885-20 M18 FUEL 3-in-1 Backpack Vacuum weighs 15.3-pounds as a bare tool. Adding as 9 Ah battery adds 2.5 lbs and a 12 Ah battery 3.5 lbs. It is easily carried on your back, and maneuverable. One learning point, we noted,when wearing this as a backpack was to be spatially cognizant of hitting finished work with the protruding canister protruding from your back. 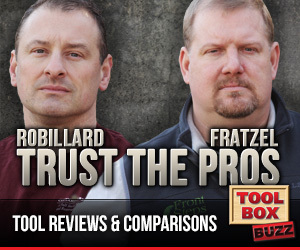 This is especially true when working around finished trim, walls or cabinets. 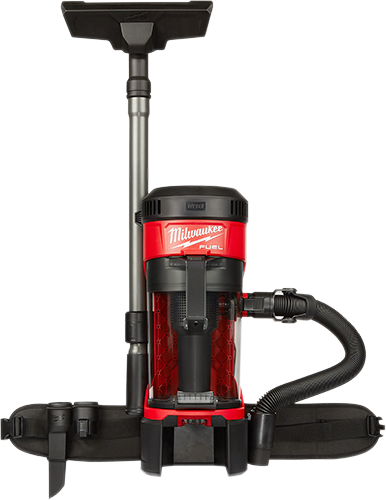 The fit and finish of the Milwaukee 0885-20 M18 FUEL 3-in-1 Backpack Vacuum is excellent. The hose is excellent quality and durable, as is the telescoping and accessory sweep. The wand extends from 25 to 40 inches. 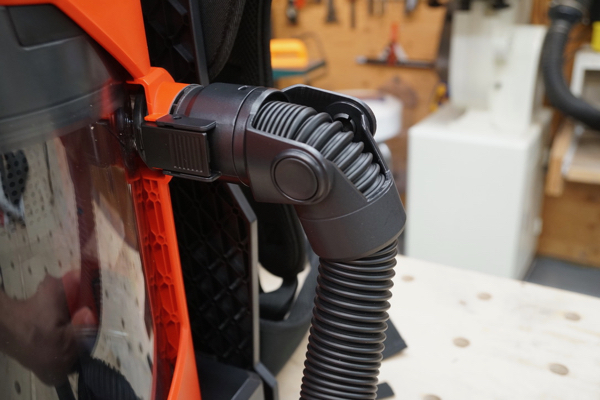 A smartly-designed, pivoting-hinge protects the hose where it comes out of the vac housing. We feel that this pivot hinge is functional and will be crucial when hanging or using the vac on a personnel lift and moving around with the hose. The vacuum hose is an accordion-style hose and stretches from 18″ to 6-feet with no negative affects. Most vacuum hoses are unwieldy, but this one bends nicely, and retracts to its original position nicely. Kinks are a major failure of vac hoses, over time, and this hose was designed to avoid that. 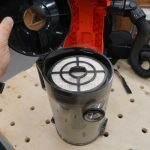 The vacuum works off of cyclonic technology, one thing we noticed on this vacuum was the number or rubber seals it has, at the debris canister, and filter section. These seals are the “secret sauce” that allow the vac to maintain is cyclonic-action and maintain suction-efficiency. Leaks and losing seal, are the biggest killers to CFM and vacuum efficiency. Powered by an M18 REDLITHIUM™ HD 9.0™ battery pack, the vacuum has a run-time of up to 25 minutes on High mode, and more than 40 minutes on Low. It will run for approximately 35 minutes on high and 55 minutes on low with a 12.0 Ah battery. 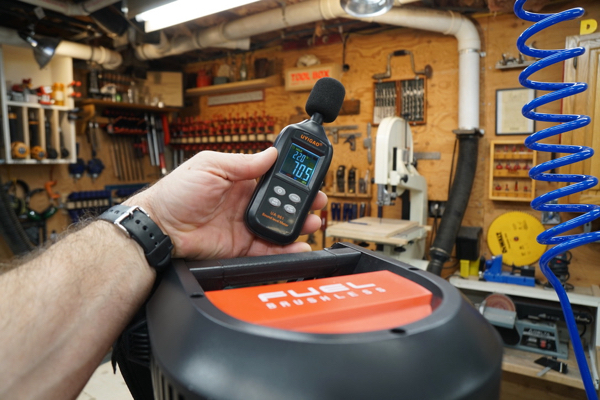 We measured the decibels of this vacuums and compared it the Milwaukee stated 76 dBA, we recorded 74 dBA as a max. at user ear height. 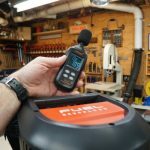 Decibels is not the only story, while designing this tool Milwaukee also looked the frequency of the vacuums noise. This is evident when you listen to the vacuum running in an occupied space – its quieter and not annoying to hear. While cleaning, I found myself using the bungee cords on the backpack harness, to keep the crevice tool captured and in reach. There are some small nuances to this vac that you might miss if you’re not looking closely, or don’t read the directions, like me. There is a small hole and clip on the same side of the power switch that is designed to store the expanding wand. 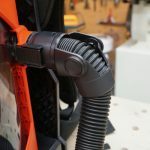 An integrated belt clip relief allows the hose to be secured for storage. 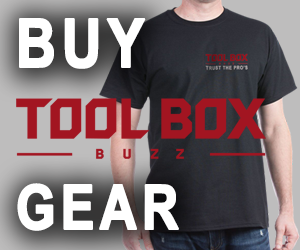 On-board storage for flexible hose, telescoping extension wand, floor tool, and crevice tool make using and storing the tool easy. 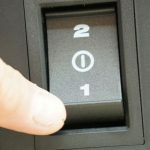 We noted that the High / Low switch is easily operated by your left hand, which lends itself to most users being right handed and will hold the wand in their dominant hand. This vacuum unit is compatible with all M18™ batteries. You do need to remove the backpack in order to change batteries. 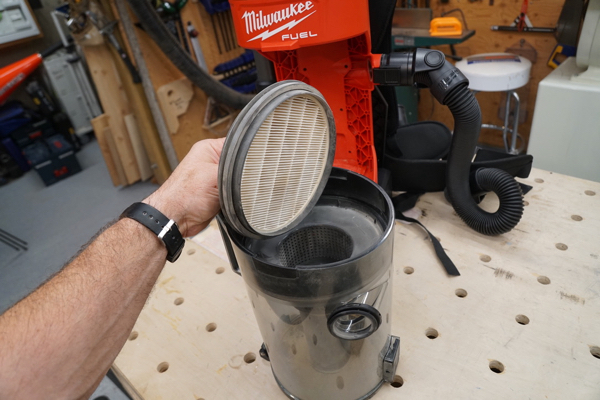 The vacuum uses a HEPA filter with 99.97% efficiency at .3 microns. 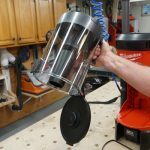 This vacuum was designed for, and can handle drywall dust, concrete dust, wood/metal shavings, we noted that the vacuum suction is OK, not great. What I mean by that is the vacuum will not pick up larger chunks of drywall or small 1-1/4″ drywall screws. I will note that this is probably the most powerful and certainly quietest CORDLESS vacuum I’ve used or tested. It is rated for 55CFM, has 76″ of water lift and 159 air watts. At our shop we measured and received 72″ water lift. We tested water lift at the end of hose with a partially used filter. We would equate this vac on par with a 6 gallon corded shop vac, NOT a lager 12-14 gallon RIDIGD vac and is thus better suited for smaller clean ups, not demo work. 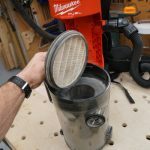 While NOT a true dust extractor, there is NO filter cleaning mechanism, this vac could be VERY useful as a supplemental or small dust extractor for drilling applications. 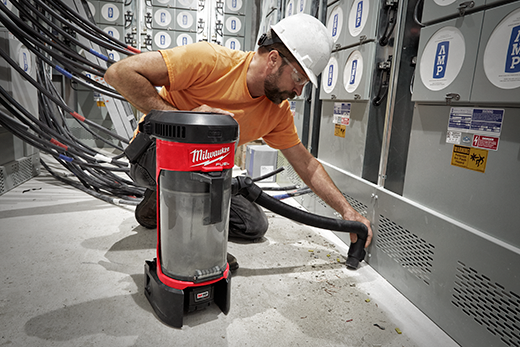 Joining Milwaukee’s robust portfolio of safer and more versatile silica dust management solutions that help address the Occupational Health & Safety Administration (OSHA) regulation on respirable crystalline silica dust, the 3-in-1 Backpack Vacuum is objective data complaint for specific applications and duration. 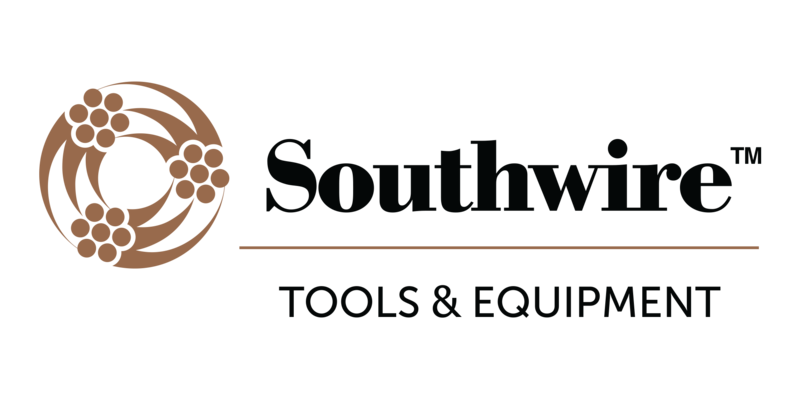 Milwaukee partnered with Industrial Hygiene Sciences, LLC to test the vacuum for specific OSHA applications and duration (PDF links below). 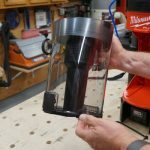 Using The Vacuum – How Well Does It Clean? We used this vacuum on a large build / remodel project that we are working on. 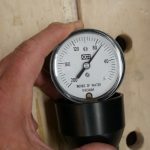 We tested the suction on several different surfaces – concrete, Advantec sub-floor, oak floors, tile and carpet – so we could accurately report back to you. Having cordless convenience on your back means mobility and efficiency and we clearly enjoyed that. 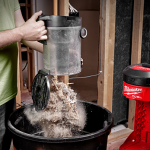 We used it to clean drywall dust, thin-set crumbs, concrete dust, wood shavings, sand, dried mud and other common job-site messes. It did a good job at medium to small sized debris. Swapping between the floor sweep and crevice tool was easy and intuitive. The floor sweep attachment has an integrated rubber squeegee which I found pushed or pulled sawdust backwards and left a small pile behind. This necessitates the user having to go back over the pile. The purpose of this rubber sweep is to keep the suction intact but when going over large quantities of dust you may have to make two or more sweeps to catch it all. Once we figured this out we adjusted and planned for it. 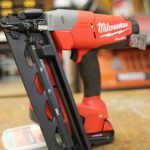 Milwaukee did optimize the floor sweep design by raising the housing, 2-3 mm inward, near the wheels. This was done to give better clearance [preventing a log jam] as saw dust and other debris entered the hose orifice. This vacuum has been optimized for hard surfaces but still works well on tight weave carpets. 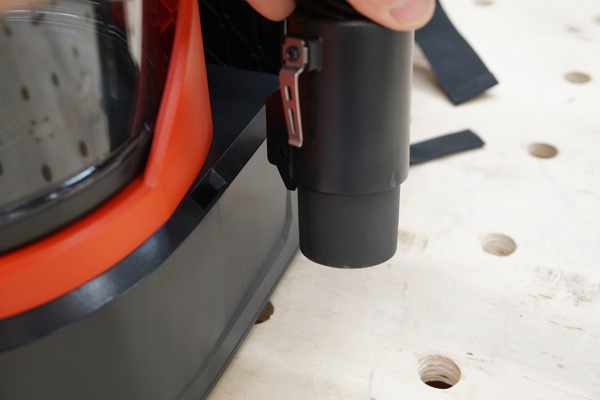 The vacuum canister is clear and allows full visibility to the user. The canister has a capacity of 1-gallon and features an easy-empty bag less design. What I mean by this is the debris bin can be emptied in seconds at touch of button. The negative to not having a bag, is you will need to tap off, vacuum or replace your HEPA filter more often. 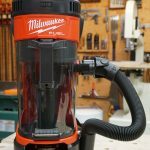 The most important improvement Milwaukee can make to this tool is to give it corded shop vac suction. 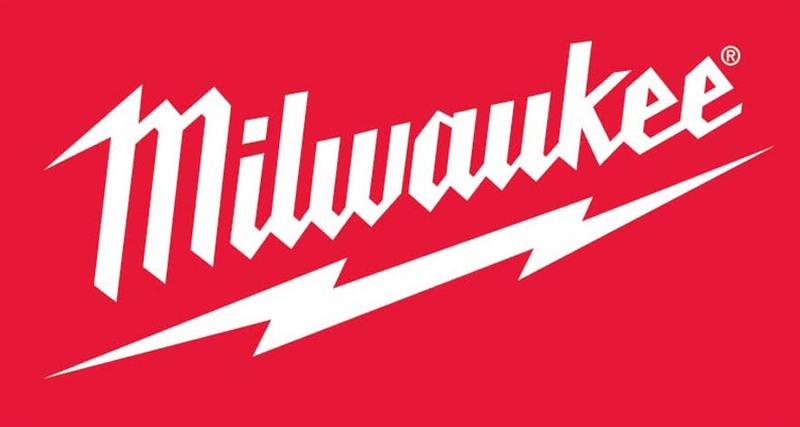 Milwaukee also offers a longer 9-foot hose as a accessory. I see this as a MUST if your going to be working off of a ladder, staging, lift or MRO type repair cart. Additionally a brush attachment would be helpful for cleaning dust of baseboards, trim, windows, radiator fins and other intricate non-floor surfaces. 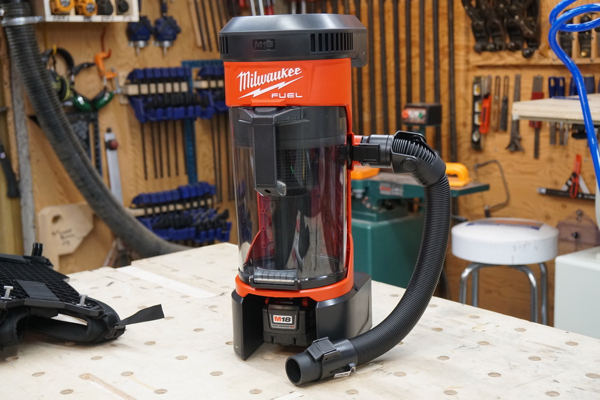 Lastly, while this has nothing to do with the back pack unit, I’d love to see Milwaukee look into a Packout style vacuum. Yes, I Would Buy This Vacuum? 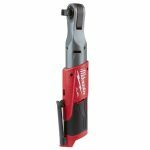 Because a vacuum cleaner is no good if it’s a pain to use, empty, loud to operate or difficult to maneuver its important that this Milwaukee cordless vacuum is SUPER VERSATILE. 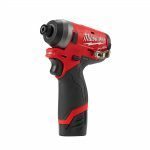 It’s convenient to use, quiet, easy to empty and most importantly it’s performance is decent for an 18 volt cordless tool. 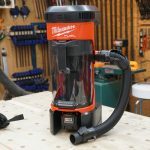 Whether doing on-the-spot, larger area, or final cleanups, this Milwaukee vacuum is a great idea and useful tool. While not as as powerful a corded vacuum cleaner, cutting the cord is hugely useful and convenient. 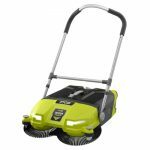 It is especially useful for doing quick spot cleans whenever you need. Not being tethered to a cord means cleaning takes less time, and is easier to use on stairs. 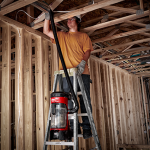 Today’s job-sites are cutting the cord and this vacuum is one more tool in your cordless bag of tricks. 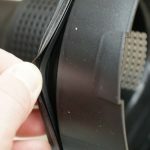 How large is the waist belt? Will it accommodate 45″ waists?